Obviously, owning a condo is very different from owning a house, when you have your own garage and backyard to maintain. In a condo, you don’t have to do as much as you have to in a home, like trimming the bushes and cutting your grass. Same goes for the insurance for your condo. Ensuring a condo is way different than insuring a home. Those who own a condo are liable for getting a portion of the property covered by a condo association insurance on their own. The process and rules or agreements are very different from those involved in getting home insurance and it is very important to know the things we are about to discuss to make sure that you have the right condo association insurance. These are the things you need to know when you are getting a condo association insurance. Condo owners don’t own the whole complex. They only own their unit and share ownership of the rest of the other units with all other condo owners. This means that all owners have the obligation and responsibility for having their areas insured with a condo association insurance. One of a condo association’s tasks is to collect monthly dues from the owners and uses some of the funds for the condo association insurance. The owner is usually responsible for getting everything insured within his own unit. The condo association’s policy should state clearly which areas or parts of the complex it covers. 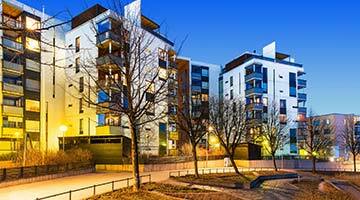 Condo association insurance usually has commercial insurance coverage for the common areas. In case of hurricanes or other natural disasters, it should be on the condo association insurance policy. If there’s a lot of work that needs to be done, the condo association will have to get the claim to their insurer and their condo association insurance will cover the damages and you also have to make sure your workers have insurance too. There is a deductible and this would be distributed to all owners in the complex, so if there are 15 owners, then it would be divided to 15. You need to know which areas or parts of the condo unit you must get insured, and you need to decide and plan how much coverage you need. You can draw an estimated coverage by basing it on how much owners are in the complex and who paid for upgrades or remodeling such as changing the roof, flooring, and a lot more. To make it easier for you, you can also fill out the quote form on our website or call us (888) 973-0016 for assistance. You need to have insurance for both the interior content and the exterior structure of your condo. Furniture, rugs, electronics, appliances, jewelry, and decorations fall under content and flooring, cabinets, countertops (basically everything that usually come with your condo when you buy it) fall understructure.